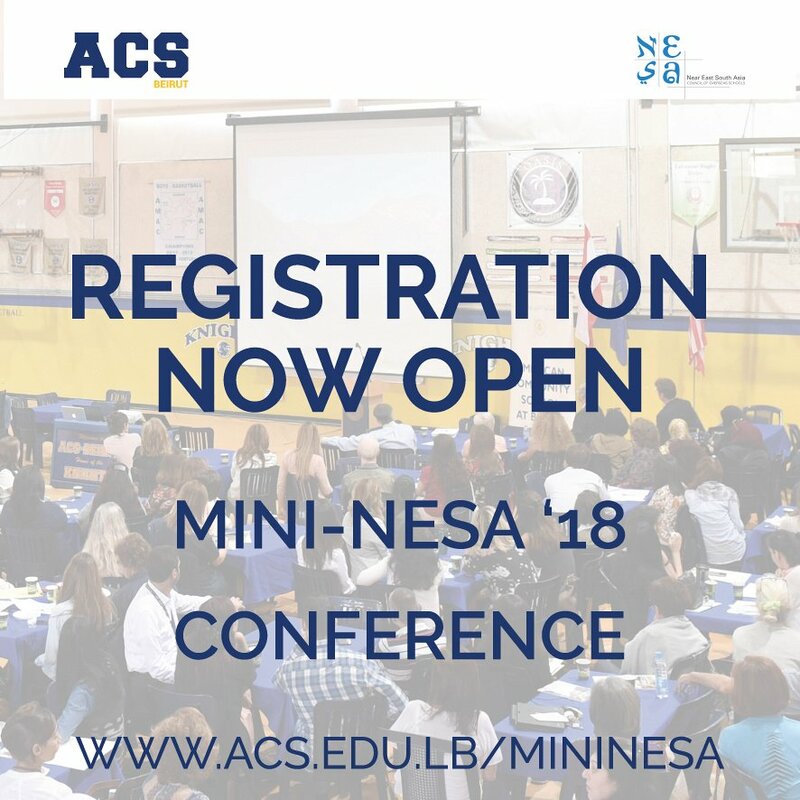 ACS Mini-NESA Conference is an annual professional development and networking event for educators organized by the American Community School Beirut to share expertise and knowledge about student learning and teaching. 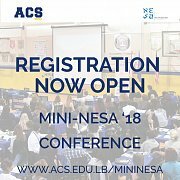 The 2018 ACS Mini-NESA Conference is taking place on Friday, November 9, 2018, from 8:00 am to 3:00 pm at the American Community School Beirut Campus. This year’s theme, "Transforming the Day", explores innovative practices for transforming young lives through transformational instructional strategies and technology to enhance learning. We look forward to seeing you all at the 2018 Mini-NESA Conference!